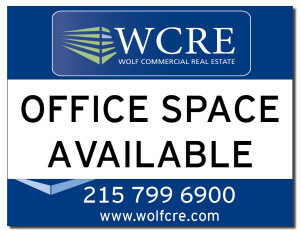 Wolf Commercial Real Estate (WCRE), a full-service Philadelphia commercial real estate brokerage firm, specializes in representing Philly office space for buyers, tenants, investors and sellers throughout the Greater Philadelphia region. Strategically located between New York City and Washington, D.C., and easily accessible via a major international airport, Amtrak’s north-south corridor and several major highways, Philadelphia office space offers global, national and regional companies a highly desirable location in which to conduct business. As experts in Philadelphia commercial real estate services, the team at our Philly commercial real estate brokerage firm provides ongoing detailed information about Philadelphia office properties to our clients and prospects to help them achieve their real estate goals. At Wolf Commercial Real Estate, our Philadelphia commercial real estate services encompass the highest quality of service and proven expertise. WCRE, a leading Philadelphia commercial real estate broker, helps owners of Philly office space for sale or lease put tenants or buyers in their properties through a defined marketing process that is tailored to each property and sub-market. Our proven marketing strategy is implemented by commercial real estate professionals who are experts in the Greater Philadelphia-area office markets, providing the unparalleled levels of Philadelphia Property Owner Representation. As a premier Philadelphia commercial real estate brokerage firm, we treat your Philadelphia office properties as if they were our own and work closely with you as part of our total commitment to client-focused relationships. 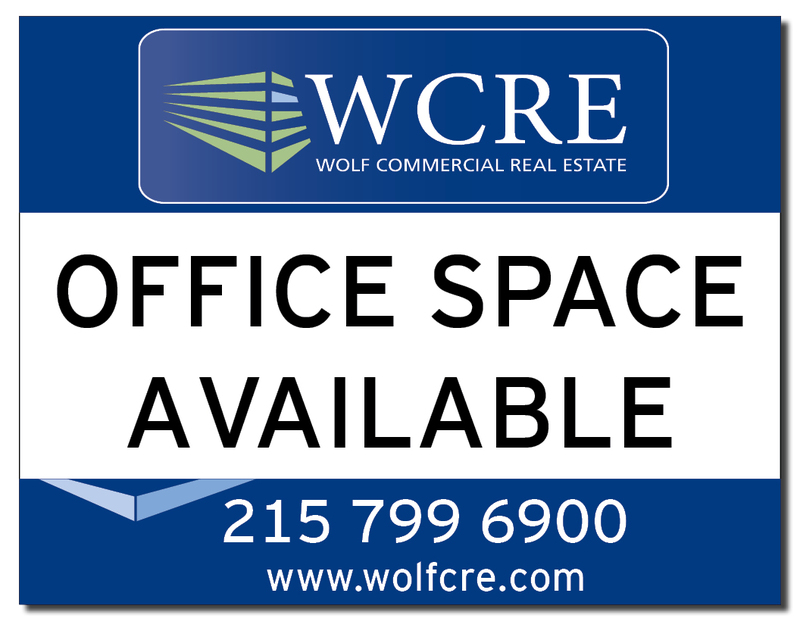 For companies and individuals seeking to lease or acquire new Philly office space, Wolf Commercial Real Estate will identify the office space that best suits your needs, whether in the Greater Philadelphia area or anywhere in the country. Through our Philadelphia Tenant Representation services, we ensure that the sale or lease terms of the Philadelphia office space or any other new property are tailored to meet your goals. As a full-service Philly commercial real estate broker, we assist in the relocation analysis process from start to finish, facilitating a smooth transition into your new Philly office space and serving as your strategic partner invested in your long-term growth and success. For more information about Philadelphia office space for sale or lease or about commercial properties for sale or lease elsewhere in the United States, please contact Jason Wolf (215-799-6900-office; 215-588-8800-cell; jason.wolf@wolfcre.com) at Wolf Commercial Real Estate, the premier Philly commercial real estate brokerage firm. Wolf Commercial Real Estate is a Philadelphia commercial real estate broker that provides a full range of Philadelphia commercial real estate services, marketing commercial offices, medical properties, investment properties, industrial properties, land parcels and retail buildings for buyers, tenants, investors and sellers in the Greater Philadelphia area and beyond. Please visit our websites for information about our Philadelphia commercial real estate services for office space, retail space, medical space, investments, industrial space or land for sale or lease, or for information about other commercial real estate listings and commercial real estate services from Wolf Commercial Real Estate, the leading Philly commercial real estate broker.